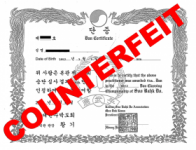 Trademark counterfeiting conspiracy occurs when multiple parties traffic in trademark counterfeit items, such as patches, flags, banners, rank certificates, etc. 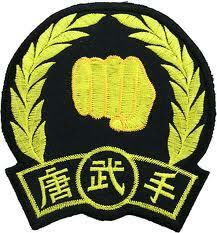 Under revised Federal statutes, martial art instructors and/or martial art school owners may be found guilty of trademark counterfeiting conspiracy merely by participating in the illegal act such as receiving, distributing, selling, etc. any item bearing federally registered trademarks without a license from the trademark owner. If you or someone you know is a victim of trademark infringement fraud or trademark counterfeiting fraud or if you think you may be unintentionally participating with others in a trademark counterfeiting conspiracy, please report it. Those familiar with federal criminal law might point out that there has long been a general conspiracy statute, 18 U.S.C § 371, which makes it a crime to conspire to commit “any offense against the United States.” This language appears to make a federal crime out of a conspiracy to violate any federal law including all federal trademark laws. Indeed, the United States Attorneys’ Manual helpfully points out that conspiracies in violation to traffic in counterfeit goods may be prosecuted under 18 U.S.C § 371. Counterfeit items are not licensed by trademark owner. Check out more trademark counterfeits here. So what does the change in 18 U.S.C § 2320 accomplish? While conspiracy to commit trademark counterfeiting was already a chargeable offense, the new statute eliminates the requirement for an overt act in furtherance of the conspiracy. But the new 18 U.S.C § 2320 has no such requirement. Without an overt act requirement, a person can be found guilty of counterfeiting conspiracy merely by agreeing to violate the act, without any actions in furtherance of the conspiracy. In addition to removing the overt act requirement, the changes to 18 U.S.C § 2320 include increased penalties for trademark counterfeiting conspiracy. Under 18 U.S.C § 371, conspiracy is punishable by up to five years imprisonment. The changes to 18 U.S.C § 2320 make conspiracy punishable to the same degree as intentionally or attempting to commit the offense. These punishments range up to $15 million and even life imprisonment for offenses that cause death. In addition, the amended statute includes a new provision that permits victims of the offense to submit a “victim impact statement that identifies the victim of the offense and the extent and scope of the injury and loss suffered by the victim, including the estimated economic impact of the offense on that victim.” The persons qualified to submit such impact statements includes producers and sellers of legitimate goods affected by the offense and holders of intellectual property rights in such goods or services. Jim Klaiber is a partner in the intellectual property group in Pryor Cashman's New York office. Roland Trope is a partner in Trope and Schramm's New York office and an adjunct professor in the Department of Law at United States Military Academy, and Ethan Lee is an associate in the intellectual property / litigation group in Milbank's New York office. The opinions expressed are those of the authors and do not necessarily reflect the views of the firm, its clients, or Portfolio Media, publisher of Law360. This article is for general information purposes and is not intended to be and should not be taken as legal advice.